Next up is our Head Referee Holler Balloo! Holler can always be counted on to think outside the box (as well as sending players to the box). Check out our fantastic website and see how creative this lady can be. *Many thanks to Taste of Hell for this blurb! 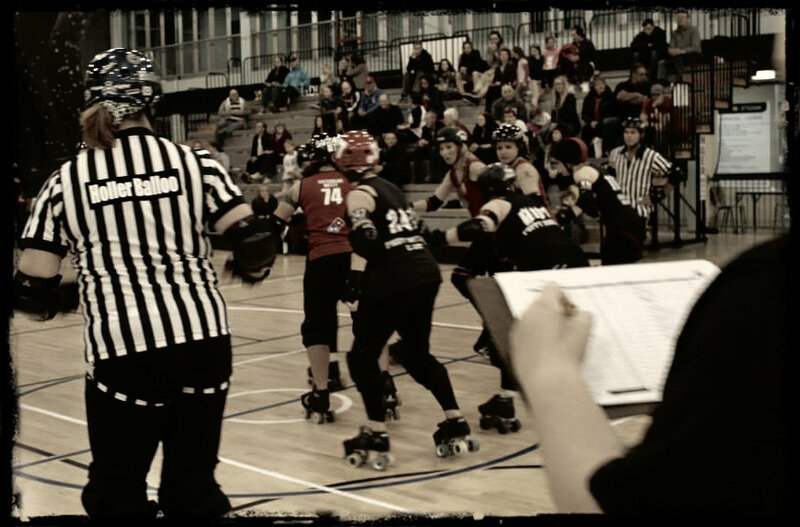 2) How did you get involved in roller derby? The classic derby cliche – I watched Whip It. 3) What’s the best part about refereeing derby? Game day – the buzz and excitement, putting your skates on, getting dressed in your stripes and doing your job on the track with your fellow refs. 4) What do you consider as a big challenge for derby refs? The intricacies and the constant evolution of the rules! 5) How do you keep up to speed on derby rules? 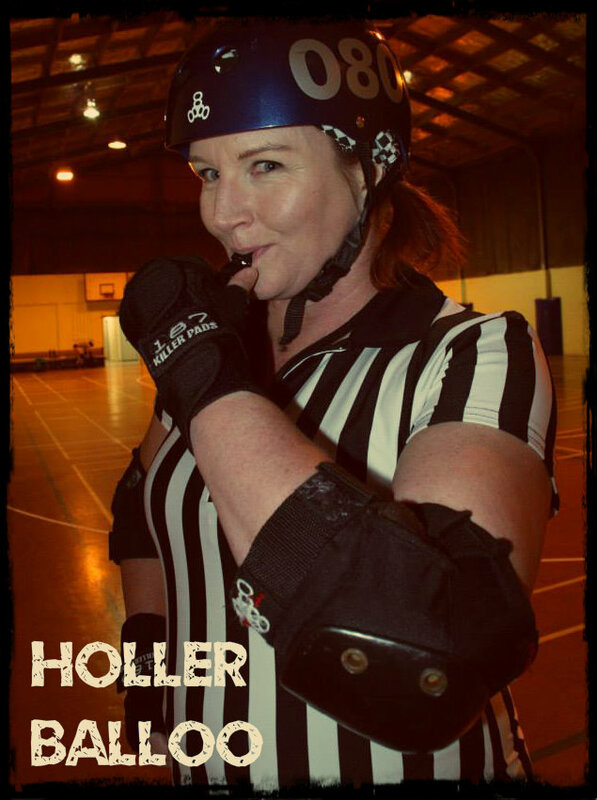 I belong to several Roller Derby ref Facebook groups and to Zebra Huddle which is a really helpful forum for refs. I also have the WFTDA app on my phone, which automatically updates when there are additions or changes. 6) What is the best roller derby advice you have ever received? Never judge your abilities compared to others; only compare how far you have come against yourself. 7) How did you learn what you needed to do your role? By observing other refs, listening to advice from experienced refs, watching games online and attending WFTDA officiating clinics but most of all, ref’ing actual games and scrimmage nights. 8) Any top tips for those that want to be refs? Study the rules, attend practices, watch other refs at games and get plenty of time on skates. This entry was posted on September 1, 2015 by nnderby. It was filed under EVENTS! .